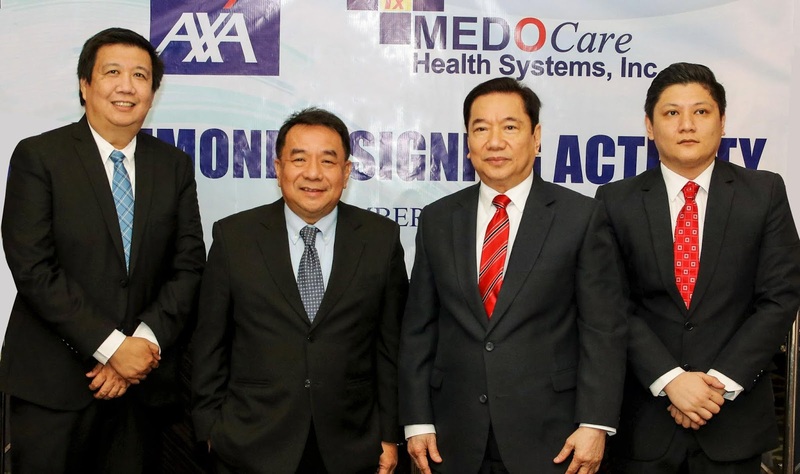 One of the country’s leading insurance companies, AXA Philippines, signed a collaboration agreement with Lockheed Group-Medocare Health Systems, Inc., a unit of the EU Group of Companies that provides managed healthcare services that are affordable and responsive. Through this undertaking, Medocare will provide their customers expanded benefits, powered by AXA’s suite of superior life and non-life insurance products and services, including life insurance and group personal accident insurance. Photo shows AXA chief of commercial business Nicasio F. Rollan III (2nd from left) and Lockheed Group-Medocare chairman and CEO Ret. Col. Esteban B. Uy, Jr. (3rd from left), along with AXA head of commercial distribution Gerard S. Arga (leftmost) and Lockheed Group-Medocare acting president Atty. Dahn Greigor S. Uy (rightmost).